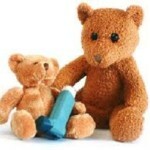 As a parent, having a child with asthma can be a very unsettling, worrisome, and fear laden existence. We do whatever is possible to help protect our children from any kind of harm or illness, but when it comes to an asthma attack, there is really nothing that prepares us for the heightened level of concern and panic we experience when our child is in respiratory distress. There is no cure for asthma, but it can be properly managed through a daily effort to reduce symptoms and minimize exposure to your child’s specific asthma triggers. These triggers can vary from child to child and may even lessen as a child ages. If a child’s exposure levels to their specific triggers are not properly controlled, flare-ups, attacks and reduced lung functioning may result. You may not know about, or even be aware of the presence of some of the more common asthma triggers within your indoor environment so it’s important to always keep the correlation between childhood asthma and indoor air quality at top of mind. Pollen, animal dander, mold, dust mites, cockroaches, smoke (tobacco, candles, fires, and incense), perfumes, paint, cleaning products and gas fumes are just some of many airborne pollutants, irritants and allergens that can impart a burden on your indoor air quality and trigger your child’s asthma. Although it may not be possible to avoid all types of potential allergens or irritants, there are many things you can do to help minimize their levels indoors. Your indoor air quality is something that as a parent, you can control. 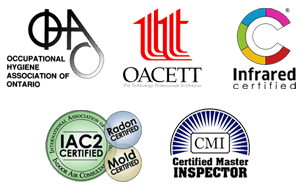 Do whatever you can to learn about ways to reduce potential contaminants within your indoor environment. There are some fantastic articles on how you can allergy proof your home and reduce allergy symptoms, as well as easy ways to improve indoor air quality. Minimizing exposure and contact with these pollutants, irritants and allergens can greatly help in the fight to prevent your child’s asthma attacks and help to manage symptoms. It’s important to work with your child’s doctor to help uncover the specific triggers unique to your child. It may even be beneficial to keep a journal or diary in an effort to keep track of specific situations and circumstances where asthma symptoms occur in an effort to help identify your child’s unique triggers. Document when your child has an asthma attack and detail all the environmental and emotional influences that are associated with their asthma. Cross-reference this journal each time an asthma attack occurs until a pattern or set of triggers becomes evident. Find the common factors present during each attack in order to help identify common triggers. Medical allergy testing can also help to expose sensitivities. Whatever the cause, the goal is to minimize your child’s exposure to triggers known to cause them problems, and to keep the air quality within our homes optimized for their health. If unsure of what contaminants might be present, consider having professional air quality testing conducted to expose what you can’t see.